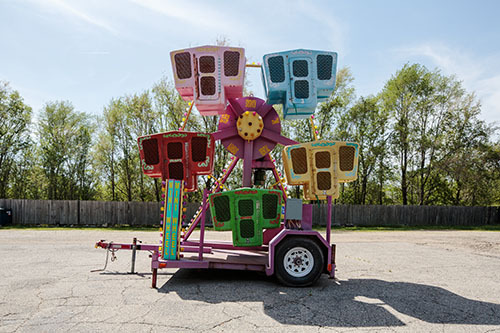 This monstrous contraption has terrorized children for decades – no doubt including my brothers and myself, when we were small and defenseless enough to be shoved, screaming, into its tiny steel gates. It appears to be retired now – I found it parked in North Lawrence, KS. These are the last of recent photos for the Foutch Brothers. 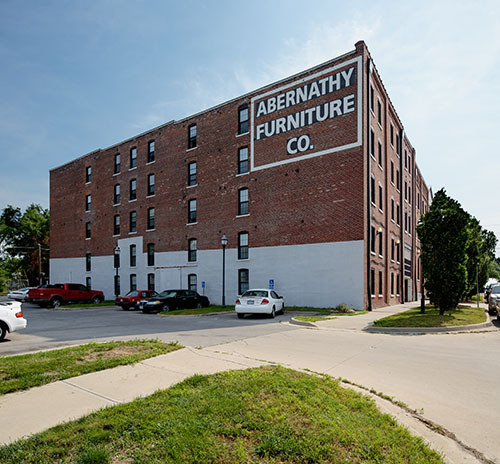 The Abernathy Furniture Company building in Leavenworth, KS is converted now into apartments. 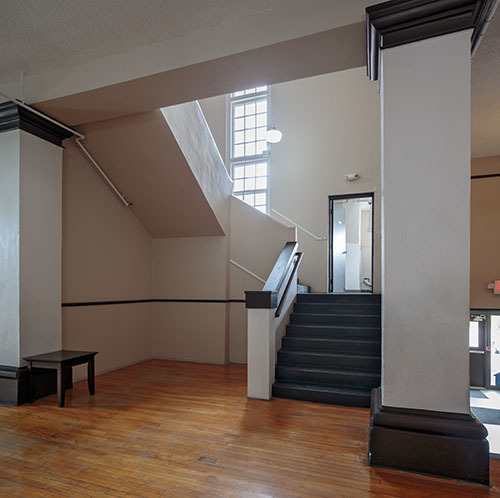 In the lobby, over the entry are a few pieces of original Abernathy furniture! 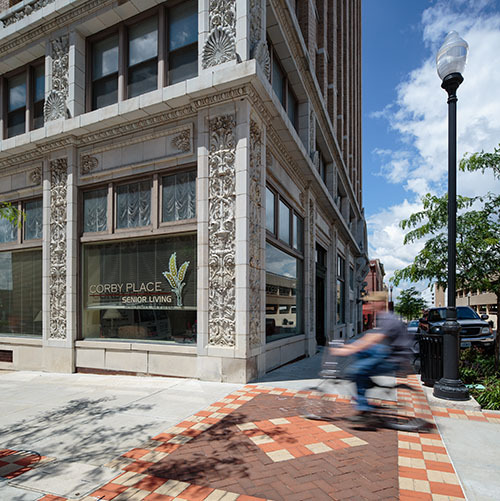 This project has the most bohemian feel of the buildings I photographed recently in St. Joseph, MO for the Foutch Brothers. There really ought to be painter’s studios taking advantage of the gorgeous light here. These are of Corby Place Senior Apartments in St. Joseph, MO. Restoration by Foutch Brothers. 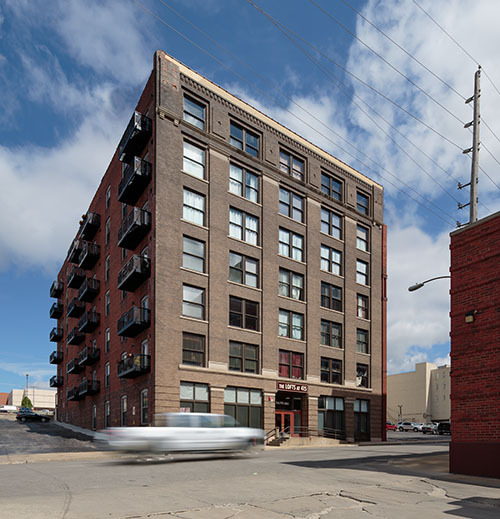 History fans might be interested in the building’s nomination form to the National Register of Historic Places. Another wonderful project by the Foutch Brothers in St. Joseph, MO. The Big Chief notebook that millions of school kids have scribbled in over the decades were made in this building in St. Joseph, MO. 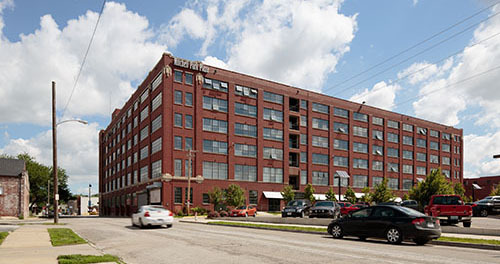 The building has since been restored and converted to apartments by the Foutch Brothers and is now know as Mitchell Park Plaza. It does my heart good to see such a beautiful old building given a new life; too many like it have been leveled for parking.